2nd Annual Climate Action Rally – October 1st! Advocates for the West is proud to join the Idaho Sierra Club for their Second Annual Climate Action Rally at the Idaho State Capitol Building in downtown Boise. We will rally at 11am to hear a diverse group of speakers from Boise State University, the Idaho House of Representatives, Idaho Sierra Club, and other community leaders. The speakers will focus on the impacts of climate change in Idaho and the amazing opportunities we have to bring solutions to our community. 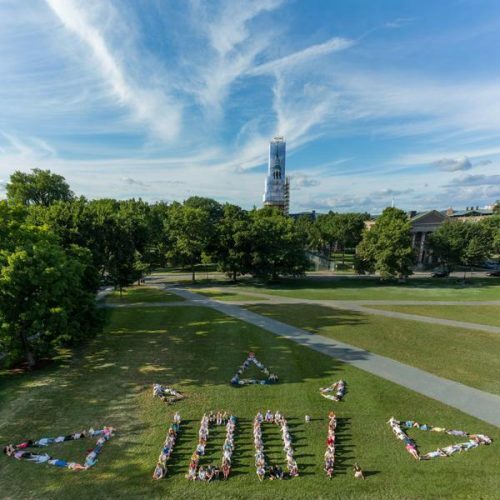 The crowd will then join together to form a human billboard in the shape of a sun and spell out “100% clean energy” – with a photographer taking aerial pictures. This exciting action will help grab the attention of our Idaho leaders and demonstrate that we are ready for climate solutions and a clean energy future! 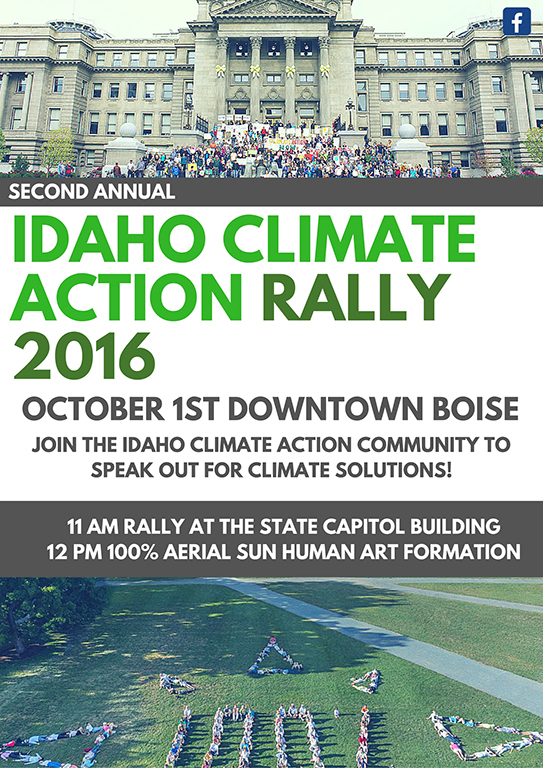 Please join us at the Second Annual Idaho Climate Action Rally to help move Idaho in the right direction. Advocates for the West will stand alongside many of our clients, partners and allies as we support the Idaho Sierra Club in this exciting day of activism!